When it comes to dieting or making changes in the food you eat, there are some pretty drastic methods out there, some work in the short term but have long term problems and some simply don’t work at all. One method that has long raised questions is that of juicing, this method can be a great way to cleanse your body and to pack it with vitamins but many use it the wrong way and try to replace eating with juicing. Done right there are any benefits to juicing and today we’re going to look at the pros and cons of using the juicing method for the various benefits that it can offer. Get your daily fruit and veg with ease – Eating the required amount of fruit and veg each day can be tricky and often takes preparation and planning, banging your daily dose into a blender and drinking it in one is a super simple way to get what you need. Absorb nutrients with ease – Using the juicing method allows your body to easily digest the fruit as all of the fibers that the body usually has to work hard to break down has already been removed through the juicing process. Reducing waste – Sometimes fruit or veg may look like it is past its best but in reality it still contains all of the vitamins and nutrients that your body needs. 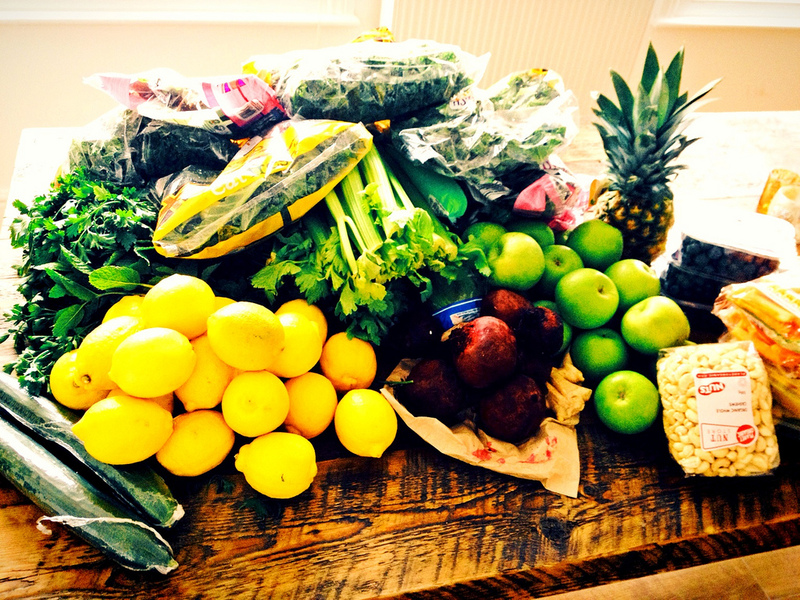 Juicing means that you can still use the produce that may not look like it’s at its best which reduces your waste. This not only helps the environment but it will also save you money as you won’t have to replace the produce that you’ve wasted. Losing weight is unlikely – Even though the calorie content of your juice may be the same as a normal meal, the way in which your body works will mean that you will feel more hungry after juicing which means you’ll end up going for more food. Juices often contain little to no protein which means that your body cannot build any lean muscle from the fat that may be lost. Any weight that you may lose through a juicing diet will be immediately gained once you start eating solid foods. Sugar swings – The amount of natural sugar that you will be packing into your juices will lead to natural blood sugar swings which can lead to decreased energy and a lower mood. Furthermore, excessive sugar intake has been scientifically proven to cause bad skin and spots, although this can be halted by effective acne treatment. Your body doesn’t need the cleanse – If you eat a healthy diet, get plenty of exercise and sunshine then your body will naturally cleanse itself, you don’t need to boost that natural detox through juicing. Sometimes juicing can actually do more harm than good by altering your body’s natural cleansing process. It can get expensive – When you consider the amount of fruit and veg that you will be buying then the cost of it all can be staggering, just one drink alone can cost far more than any healthy meal will and you should consider that before setting out on the juicing method.